Clean+Makeup Removing Cleansing Lotion To look and feel its best, sensitive skin needs the right clean and specific care. Go beyond clean… Customized Cleansing Quick-break lotion releases the powerful cleansing agents to dissolve impurities and waterproof mascara. Skin Type Specific Care Formula, infused with Plant Extracts, leave skin feeling moisturized and protected. 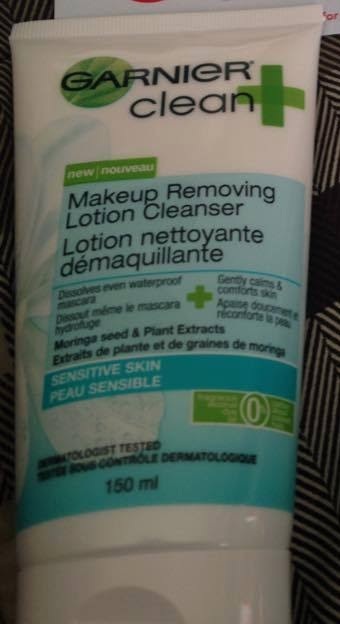 I am usually pretty picky when it comes to makeup removers because some tend to turn my face red and some I find burn my sensitive skin but I find this product to be perfect and it really makes my skin nice and soft. It is awesome of sensitive skin like mine. I don't wear much makeup ( foundation, a bit of eye shadow, a bit of mascara and a bit of gloss or lipstick) but I found it did a great job at removing the makeup. This is one I will be using again and again in the future.